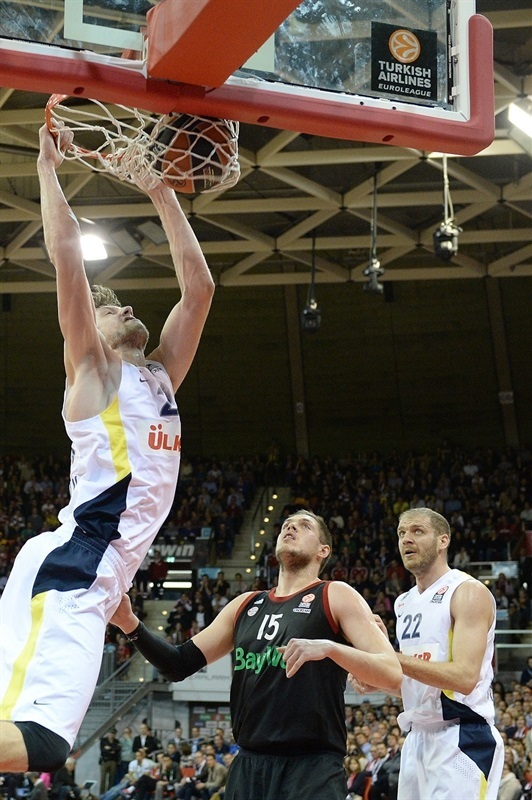 Fenerbahce Ulker Istanbul snapped a two-game losing streak in Group C with a big 86-93 win at Bayern Munich. 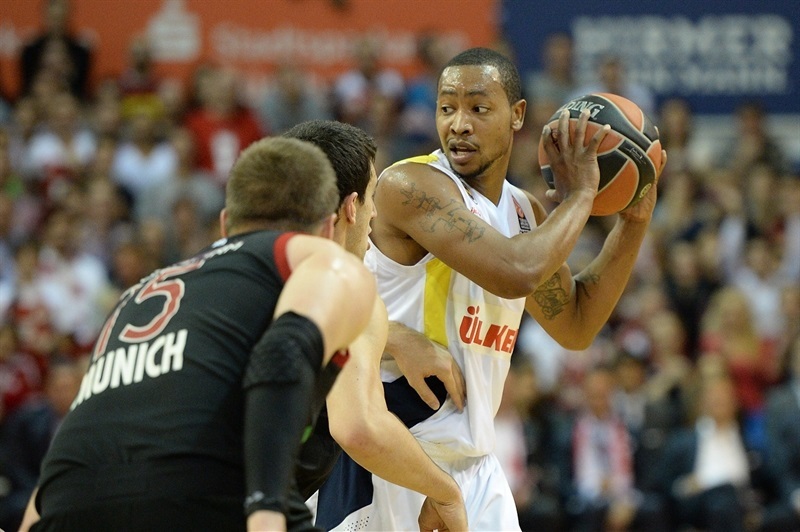 Andrew Goudelock made a Euroleague record 10 three-pointers in scoring 34 points while also dishing out 4 assists. The guard broke one of the competition’s longest standing records. Saulius Stombergas made 9 threes in a game back in April 2001 and Thomas Kelati and Mirza Teletovic had since tied it. Goudelock also tied the club scoring record in the Euroleague. Hakki Harun Erdeney scored 34 back in December 2001 in a road win at Peristeri. 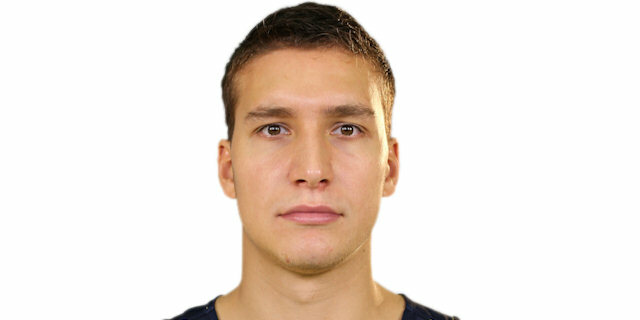 Bogdan Bogdanovic added 4 three-pointers in scoring 18 points to go with 7 assists as the Turkish champs jumped to 3-2 in the group. 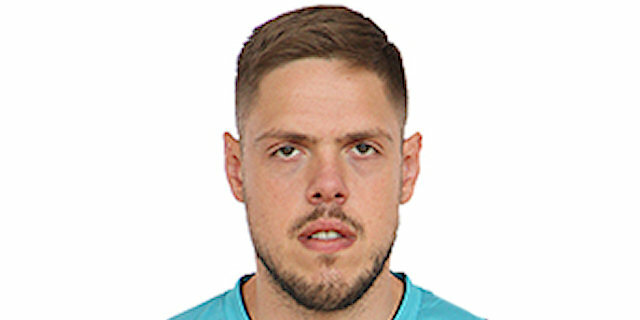 In total, Fenerbahce made 17 of 30 three-pointers, two coming from Nemanja Bjelica, who chipped in 12 points while Jan Vesely scored 11 points. Bayern lost its third straight game - and second at home - to drop to 1-4 despite 16 points from both Nihad Djedovic and Vasilije Micic, 15 from Heiko Schaffartzik and 10 from Vladimir Stimac. Bayern was hot from downtown early to lead 22-19 after 10 minutes. Goudelock and Bogdanovic heated up as the visitors took over in the second quarter and the duo continued to drain big shots the rest of the way to keep Fenerbahce headed to victory. 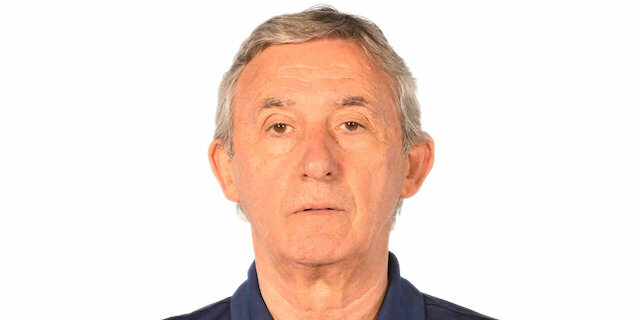 Bayern coach Svetislav Pesic was dealing with injury and illness problems with his team and had to make three changes with Micic, Stimac and Yassin Idbihi starting with Schaffartzik and Robin Benzing. Fenerbahce coach Zeljko Obradovic also made wholesale changes with Kenan Sipahi the only starter from the last game against Barcelona in the first five alongside Goudelock, Bogdanovic, Bjelica and Oguz Savas. 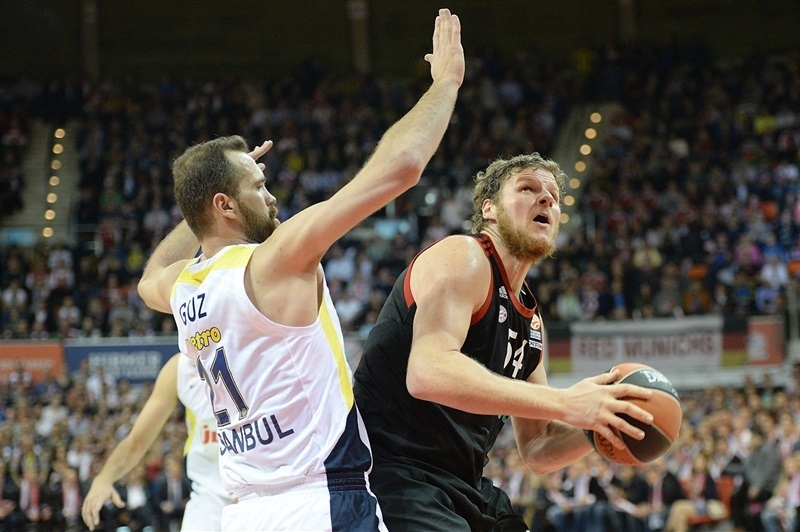 Micic used his opportunity in filling in for the injured Anton Gavel and drove to the basket for the first score. 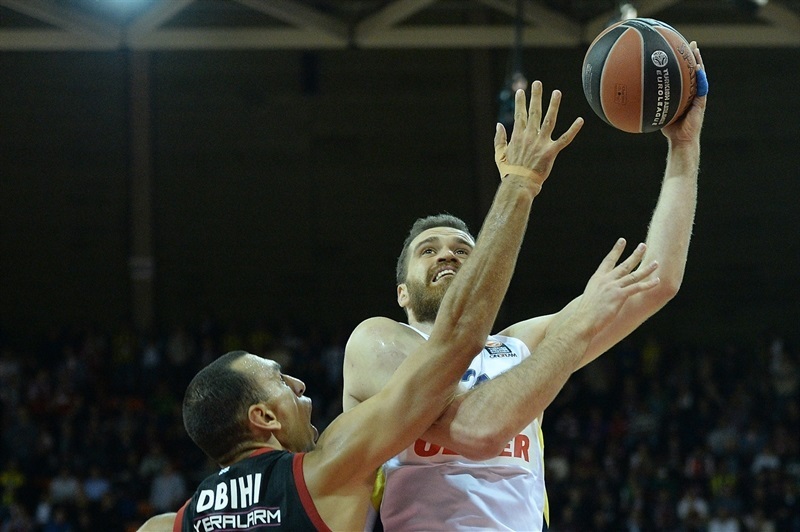 Savas opened the scoring for Fenerbahce with a hook shot and completed a three-point play on the next possession for the guests’ first lead. Idbihi put back an offensive rebound before Bogdanovic nailed a long ball for a 4-8 lead. Dusko Savanovic answered right back with a three, but Goudelock drained a jumper and three from the right wing for a 9-13 advantage. After a TV timeout, Djedovic - dealing with a groin issue - scored his first basket and Schaffartzik nailed a triple as Bayern went ahead 14-13. Three lead changes later, Schaffartzik knocked down another three-pointer and Lucca Staiger followed with yet another on the next possession for a 22-17 Munich cushion. Vesely cut it to 22-19 after one quarter. Schaffartzik’s jumper opened the second quarter - and pushed the lead to 24-19. The Fenerbahce offense picked up with Bogdanovic hitting a triple and then getting out in front of the Bayern defense after a rebound for a breakaway dunk to knot the game at 24-24. Stimac wanted to get into the long range action and hit a three – his first of the season in either the Euroleague or domestically - to give Bayern the lead. 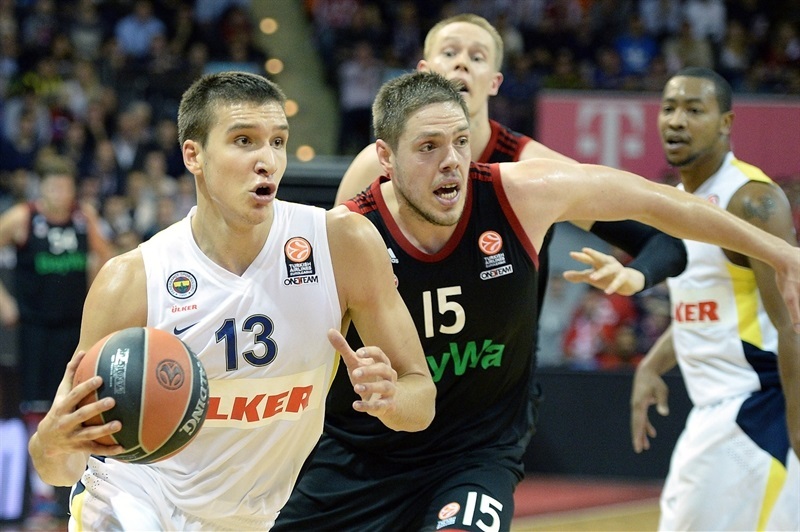 It was only temporarily as Bogdanovic hit a three-pointer and completed a four-point play. After Bryant scored an inside basket, Goudelock drained back-to-back triples for a 29-34 Fenerbahce lead - and a Munich timeout. Bryant came out of the timeout with a jumper, but couldn’t stop Luka Zoric from going down the lane for a dunk and then Vesely threw down a dunk and completed a three-point play for a 31-39 advantage. Bayern stayed in the game thanks to its three-point shooting as Djedovic and Benzing both hit from downtown to bring Munich to within 39-40. Vesely streaked down the lane for a dunk and then Goudelock knocked down a pair of triples for a 43-50 lead. Micic split free throws and the Fenerbahce advantage was 44-50 at halftime. After Savas opened the second half with a layup and Micic hit a jumper, it was time for the Goudelock show to continue as the guard nailed 3 three-pointers to push the lead to 51-61. And the margin grew to 53-64 on a Bjelica triple - resulting in a Bayern timeout. Bryant once again converted out of a timeout to cut the deficit to 55-64. 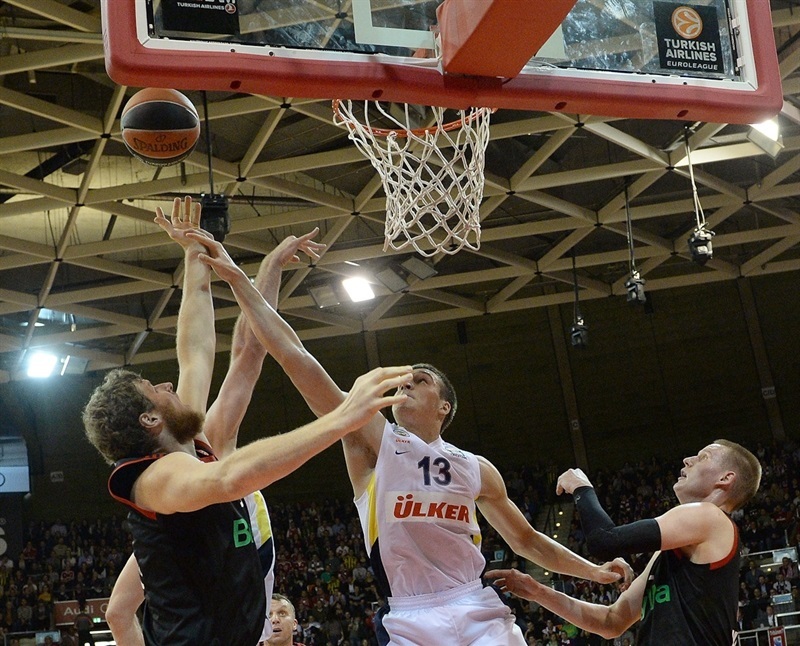 Bjelica put back his own miss and then Zoric’s free throw extended the margin to 55-67. 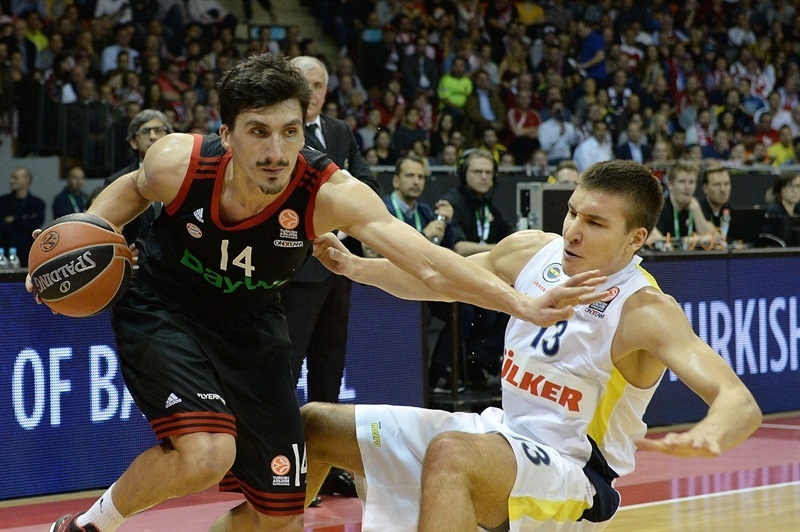 But Stimac scored the final 5 points of the quarter as the hosts trailed 60-69 after three quarters. After Bjelica had the first points of the quarter, Bryant converted a three-point play. Bjelica drained a triple from the left corner and Goudelock followed with a three from the right side that tied the Euroleague record with 9 as Fenerbahce took a 63-77 margin with eight minutes left. 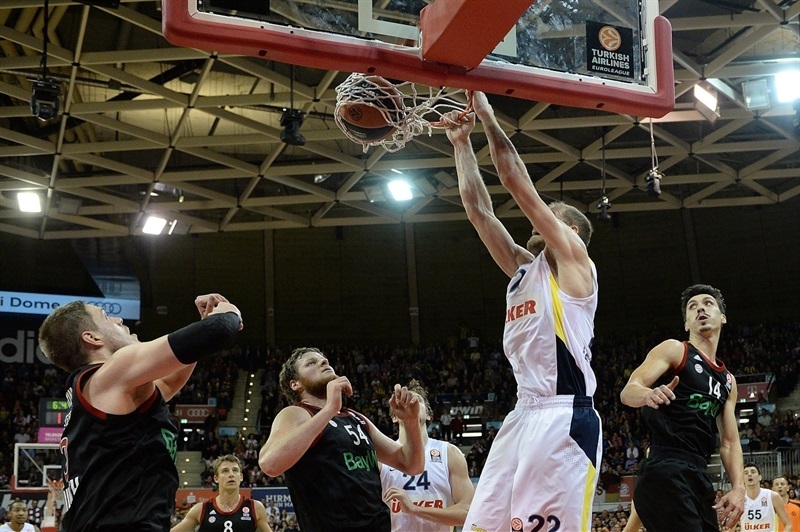 Of course Bayern would not go down without a fight as Bryant and Djedovic both made free throws and a Schaffartzik three-pointer trimmed the gap to 70-77. Schaffartzik’s two foul shots cut it to 74-80. Goudelock sank his record-breaking 10th three midway through the quarter. Bogdanovic followed with another for a 74-86 cushion with less than four minutes left. Bayern charged back once again with Benzing and Djedovic both hitting from long range to make it 84-88 with just over a minute left. But Ricky Hickman made free throws with 1:02 minutes to play and then Vesely threw down a dunk with 22 seconds left to secure the win. "We saw a game tonight that I would like to see more often. It was an attractive game but it wasn’t a bad performance defensively. Of course you want to play better defense but it was an attractive game and I think we played against a Final Four team. In these kind of games, everyone knows that when you play against a team with so many different weapons you have to be in top shape to win. Unfortunately we weren’t. I’m not saying that if everybody was healthy that we would have beaten Fenerbahce. But we could have had more chances against Milan and Turow. I am always a little disappointed when we lose. But we have to continue to fight and play hard like we did." "We knew that they were very aggressive in offense and defense, so we tried to prepare ourselves. The key to the game was that in the second and third quarters we changed our defensive attitude and it was much better. We found a way to win this game, an important game for us. Congratulations to my players, it was an excellent night shooting from three, especially Goudelock who had 10 for 13. That's not normal at all. We talk about taking the threes in practice and I don't know if it was because of that or motivation, but we shot excellent from three tonight. I want to congratulate Bayern also for a good game. 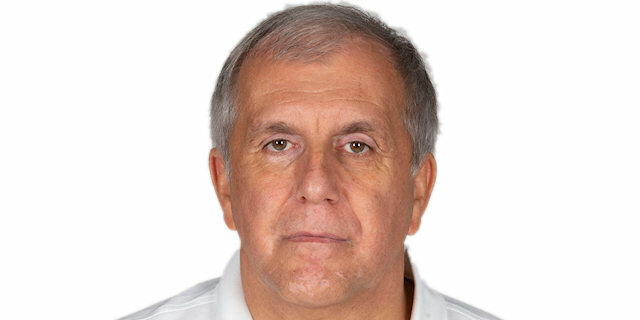 I know one of their main players, Anton Gavel, was injured tonight so I wish him a speedy recovery." "It’s bad for us. It’s not what we wanted. We gave our best but they played good and hit all their shots. We didn’t make some good decisions on offense and on defense. It was close but we lost the game. It really wasn’t good for us, we were fighting but it didn’t work out. It’s hard to defend all the three-pointers. You are right there and they shoot it and score. Congrats to them, they won the game." "We had bad luck against Barcelona. In this game, they had a chance to come back and win but we stayed focus until the end and played good offensively. Also we made a lot of threes. We had a problem with the three-point shooting in the last couple of games but it was better tonight. Of course it’s an important win because everybody knows you have to go step by step through this competition. This was just a step for us towards the Top 16. "